These days, it seems improbable that Beanie Sigel, the oft-arrested, thematically-limited Vladtv.com star and indulger of corny beefs with other rap gangstas, was once considered a next-to-blow rookie. 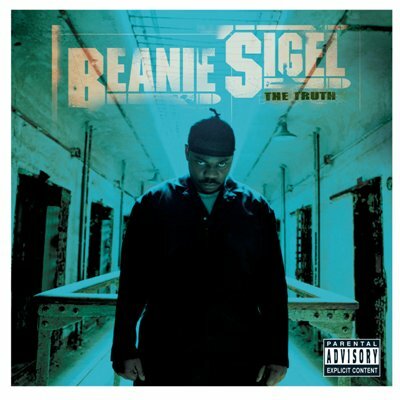 The Truth opens with Kanye West’s churchy organs (“The Truth”), then threads through keyboard presets from Swizz Beats, then heavy in his synthesizer Mozart phase (“Who Want What”), and Rockwilder’s ominous horn pumps on “Stop, Chill.” “Where I’m from, all my niggas from under the ground,” raps Beanie on the latter. “Rock jeans and a bunch of white tees/Troopers/They don’t post but they toast and they like to shoot you.” It’s as loud and violent as a street argument that turns into a tragic shooting. And Beanie’s East Coast slanguage, broken down in plain but vivid language, interprets it all. Like so many other once-hot newcomers, from David Banner to Jadakiss, Beanie has spent the rest of his career trying to convert The Truth into mainstream success with mixed results. But he can point to at least one album as a symbol of achievement. This entry was posted in Plug One 2000s and tagged Beanie Sigel. Bookmark the permalink.